Generator and interpreter of educational screens. A screen is composed of a BMP image file, and WAV sound files associated with clickable areas of the image; if the screens are intended for children aged 3 to 10, parents or educators will be responsible for imagining and building the screens, choosing the images, selecting the clickable areas of the image and saving the sound files associated with these areas. 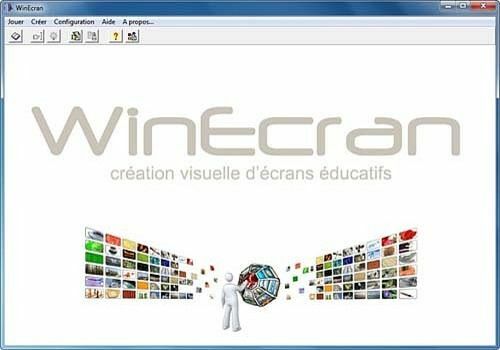 With a little imagination, it is easy to build many custom screens and it is possible to involve children in the development of the screens by using their voices when recording sound files, and the most diverse themes can be addressed with WinEcran's image/sound association. The fun approach allows children to learn quickly and maintain their attention, and WinEcran will interpret these screens through the Discovery and Question/Answer modes, with a license offered against sending a screen of your design. See the terms and conditions on the website.